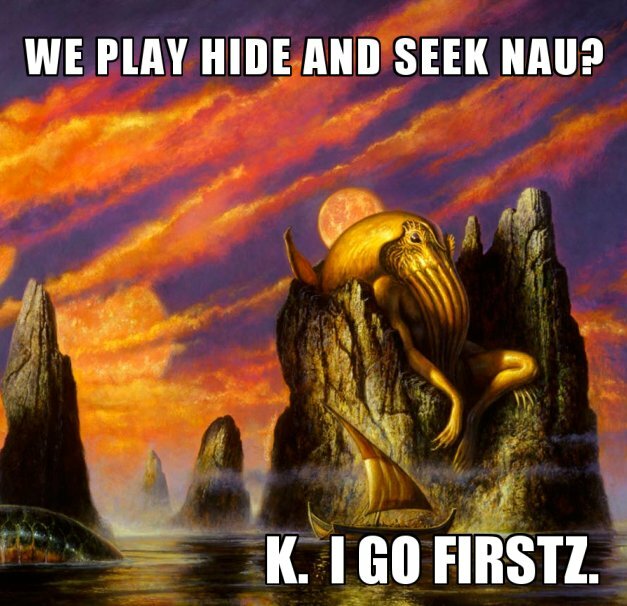 LOLTHULHU » WE PLAY HIDE AND SEEK NAU? K. I GO FIRSTZ. WE PLAY HIDE AND SEEK NAU? K. I GO FIRSTZ. 5 Responses to WE PLAY HIDE AND SEEK NAU? K. I GO FIRSTZ. damn, that picture rocks. is that a greek ship? That’s a painting by Bob Eggleton. 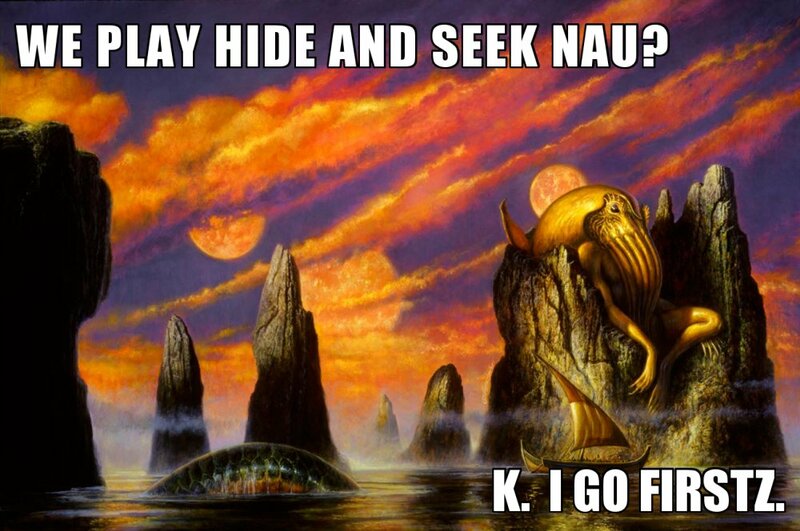 He’s done a lot of Lovecraft painting for books and magazines.